After a busy December full of events and school holiday activities, the whole month of January lies ahead before the kids go back to school. Are you wondering what you're going to do for the next 4 weeks? Then check out this list below of over 25 free and paid activities around the Capital - which include exciting events such as Australia Day in the Capital, fireworks and the Queen's Baton Relay coming through the Capital on the way to the Gold Coast! The nation's capital will be the first Australian destination of the relay, arriving on 25th January at the Australian Institute of Sport - marking the 100-day countdown to the Games. More than 70 Canberrans will carry the Queen's Baton during ACT section of the relay, with the baton making a second appearance at the Australia Day celebrations in Commonwealth Park, on 26th January. Mark this historical event and gather the kids to cheer it on! PlayUP: The Right to Have an Opinion and Be Heard will be held every day at the Museum of Australian Democracy (Old Parliament House), with free activities for children after entry. Later in the month, between 22nd - 26th January, Open Air PlayUP will also be available outside. Entry costs $2 for adults and $1 for children (free for under 5's). See here for details. Wordplay at the National Library of Australia is a free drop-in craft room upstairs in the Brindabella Room every day, until 4th February. See here for details. The National Gallery of Australia will be having family tours on weekdays at 10:30am through the school holidays until 2nd February. See here for details. Whilst there, also check out NGA Play - Indieguerillas - a free play space for kids at the front entrance. 2018 Summer Activation is a summer event that will be held at Braidwood Pool, Bungendore Pool, Captains Flat Pool, Queanbeyan Pool and Rockley Oval in Googong. This summer event includes kids activities, BBQ's and watching the movie "Grown Ups", whilst sitting in the pool! As Googong's event will be held at Rockley Oval, there will be land sports such as Bubble Soccer, mini tennis, in2cricket, Archery Tag, Frisbee and a jumping castle. See here for details and the You Tube advertisement, below. ACT Libraries have free workshops, programs and craft activities most days of the school holidays. See here for the full program - bookings essential. The National Portrait Gallery will be having a free craft Family Space inspired by their Starstruck Exhibition, starting from 16th December and finishing on 1st February 2018. See here for details. Also, book in for Portrait Play: Tell Me your Story and Storytime, for $7 per child. Kspace is a free interactive, time-travelling activity at the National Museum of Australia, which will open for the ACT school holidays. See here for details and here for a full article. Discovery Zone is located on the lower ground floor of the Australian War Memorial. 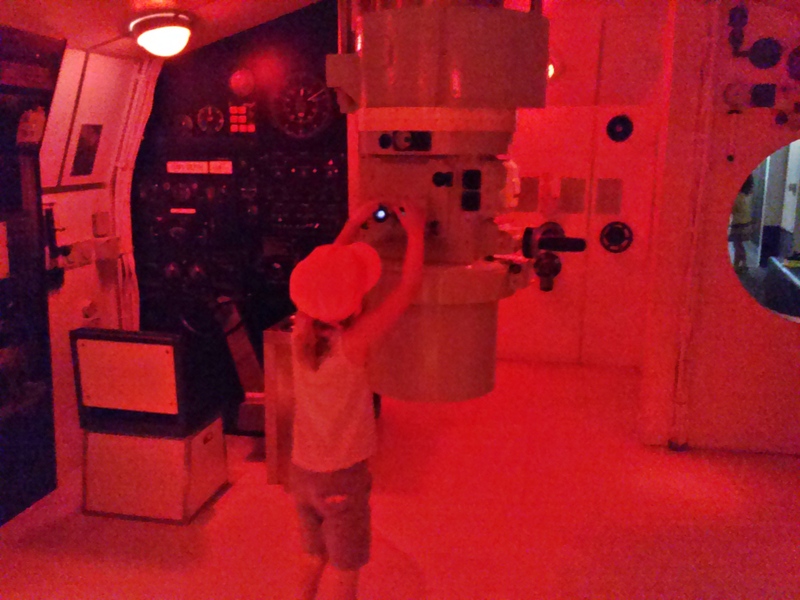 Sit inside a helicopter, walk through a Cold War submarine and learn about what life was like during war-time. Free entry. See here for details and here for a full article. Summernats is a street car event held at the EPIC (Exhibition Park in Canberra) with hot rods, burnout competitions and hundreds of street cars on display between 4th - 7th January. On Friday, 5th and Saturday, 6th January, they will be having a Kids Club in Central Park between 10am - 4pm with rides, activities, giveaways and more. See here for details. 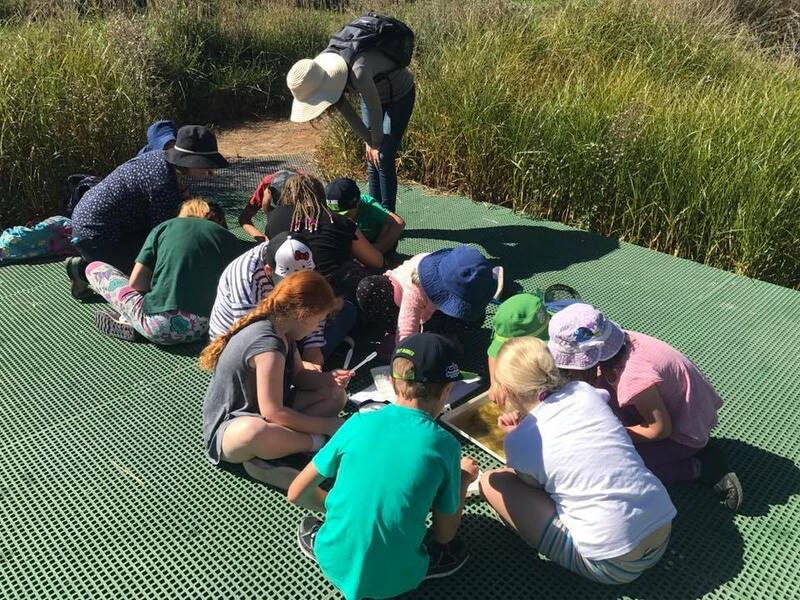 Bush and Waterbugs Detectives at the Jerrabomberra Wetlands is a 2 hour school holiday program, suitable for ages 5 - 13. If your kids enjoy nature, they will enjoy taking a walk with a Ranger to discover what animals live at the wetlands. Cost is $8 per child. See here for details. Make and Create at the Australian War Memorial is a free craft session in the Education Space in the Lower Galleries. It will be held on Thursday 11th, 18th and 25th January, as well as Fridays 12th and 19th. See here for details. Art Explorer: Guerilla Upcycling is an art workshop at the National Gallery of Australia for children aged over 8 years old. This workshop encourages creating art from upcycled materials and spare bicycle parts. Cost is $60. See here for details. American Express Openair Cinema (previously Ben & Jerry's Openair Cinema) will be back for another year with all the latest movies and school holiday favourites. This popular family event will be held between 11th January and 25th February. See here for details (and here for Facebook updates). Alice in Wonderland theatre production, by Ickle Pickle Productions, will be held at Belconnen Theatre between 12th - 20th January. All tickets cost $24. See here for details. Mkids Movie Series – Captain Underpants will be shown in the Theatre at the National Museum of Australia, for the school holidays. The cost is $5 for non-members. Also showing will be LEGO® Ninjago Movie (16th January), Diary of a Wimpy Kid: The Long Haul (20th January) and Despicable Me 3 (23rd January). See here for details. Alice in Wonderland LIVE! will be showing at the Canberra Theatre on the 14th January at both 1pm and 4pm. Enjoy this hilarious New York production as it follows Alice in her adventures through Wonderland. See here for details and advertisement below, courtesy of You Tube. Biodiversity Detectives-School Holiday Program will be held at the Australian National Botanical Gardens on 16th - 18th January and then again between 23rd - 25th January. This full day workshop is designed for kids aged between 7 - 12 and they will investigate the secret lives of bugs, reptiles, plants and more. Cost $70 per day. See here for details. Snow White theatre production, by Child Players ACT, will be held in Acton between 17th - 20th January. Tickets cost $18 and there are 8 shows to choose from. See here for details. Summer Storytime at the National Library will be held at 11:30am in the Brindabella Room, for $2 per child. Bookings essential - see here for details. After this, The Lorax will be showing in the Theatre at the National Library at 1pm. This is a free showing, however bookings are essential. See here for details. The 78-Storey Treehouse will be showing at the Canberra Theatre on 24th January for two shows only at 11am and 1:30pm. Prices start from $29. See here for details. 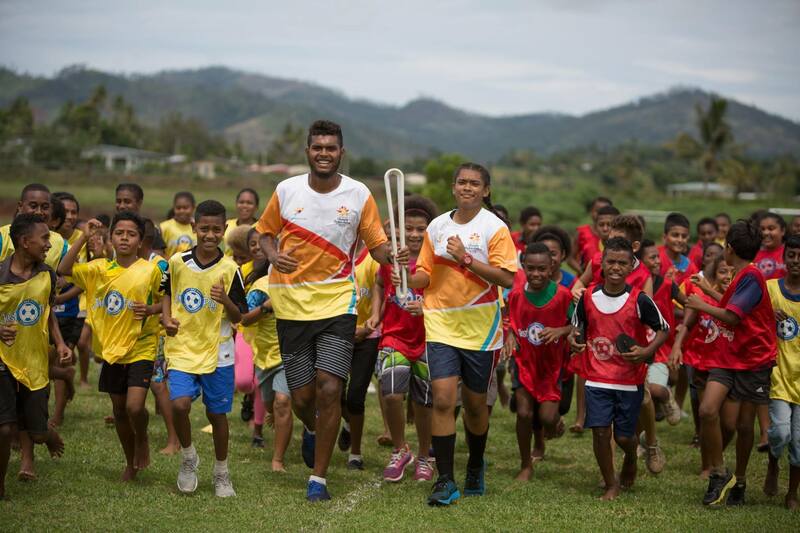 The Queen's Baton Relay will be arriving in Canberra on the 25th January for 2 days! Celebrations will be held at the AIS for this event in history, with the baton coming through at 9:30am. See the Queen's Baton Relay website and the ACT Events website for details closer to the event. To enjoy the lead-up to the event, follow the AIS Facebook and Gold Coast 2018 Commonwealth Games Facebook. Friday, 26th January - AUSTRALIA DAY! 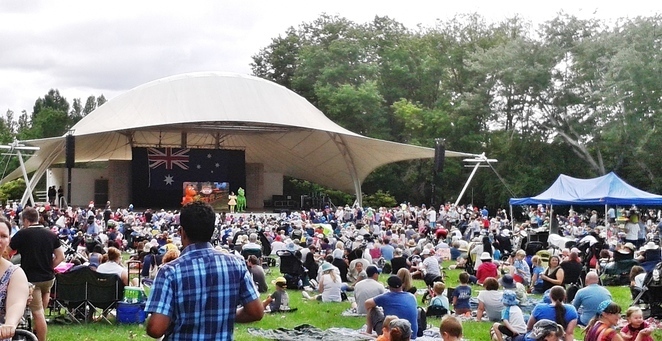 Australia Day in the Capital, at Commonwealth Park, is a huge day for kids and families, with an Aussie BBQ breakfast, jumping castles, face painting and family shows on Stage 88. The Queen's Baton Relay will also join Australia Day celebrations! 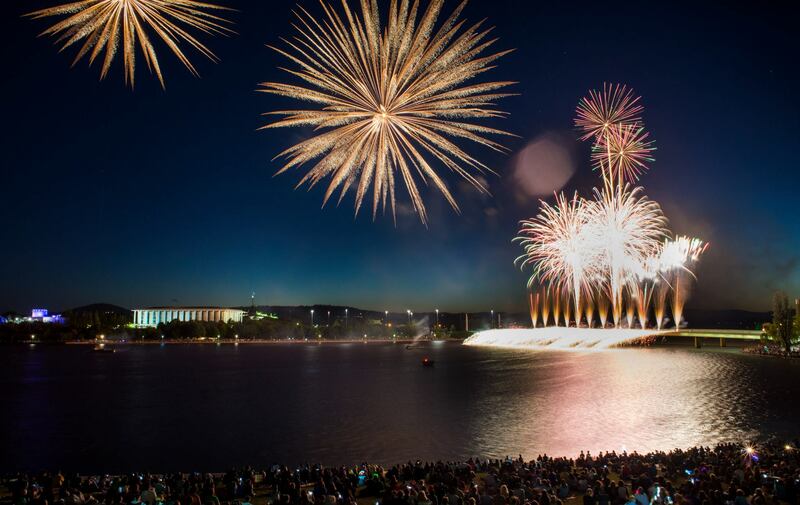 In the evening, celebrate with fireworks over Lake Burley Griffin at 9pm. See the Events ACT website for more details and program closer to the date. Australia Day Family Festival at the National Museum of Australia will be held between 10am - 1pm, with music, dance, demonstrations, games, craft and family fun. This festival is inspired by their Songlines: Tracking the Seven Sisters exhibition. See here for details. Open House at Lanyon Homestead: Australia Day Picnic is a relaxing day in the grounds of this 19th-century homestead in Tharwa. Take a picnic blanket and enjoy the live music and free tours of the homestead. See here for details. The Gruffalo will be on stage at The Canberra Theatre between 27th - 28th January. This enjoyable show, for ages 3 and over, follows Mouse on a daring adventure through the deep, dark wood in this magical, musical adaptation of the classic picture book. See here for details. Phew- what a big month in Canberra! There's no way the kids will tell you they're bored!! Why? Take advantage of all the fun things to do this summer!